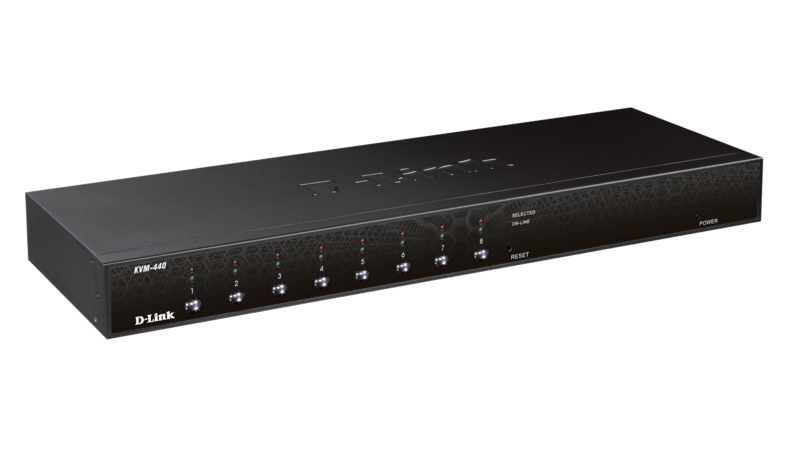 The D-Link 8-Port PS/2 USB Stackable KVM Switch is a high-end local remote management solution which allows you to control up to 512 PCs from a single console. Toggle between clients using the front panel buttons, keyboard hotkeys, or On-screen Display (OSD) menu. The on-screen menu allows you to label each channel with a descriptive name, providing clear and easy navigation. A convenient Auto-Scan function allows you to automatically toggle between multiple computers sequentially at preset intervals. The front panel LEDs assist with workstation/server status monitoring. Green LEDs indicate that systems are online, while separate red LEDs indicate when a particular system has been selected for management via console. The sturdy metal chassis is mountable in a standard 19” rack. 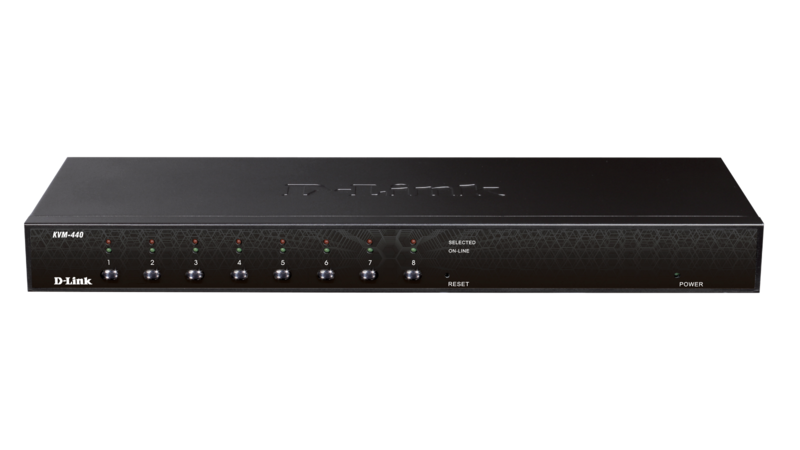 Daisy chain multiple KVM switches together up to three levels deep; cascaded units require no special configuration and automatically configure themselves as master or slave. Target workstations can be connected via keyboard/mouse or PS/2 using a custom combo cable. A PS/2 or USB keyboard is emulated on each terminal allowing all attached computers to successfully boot without keyboard errors. 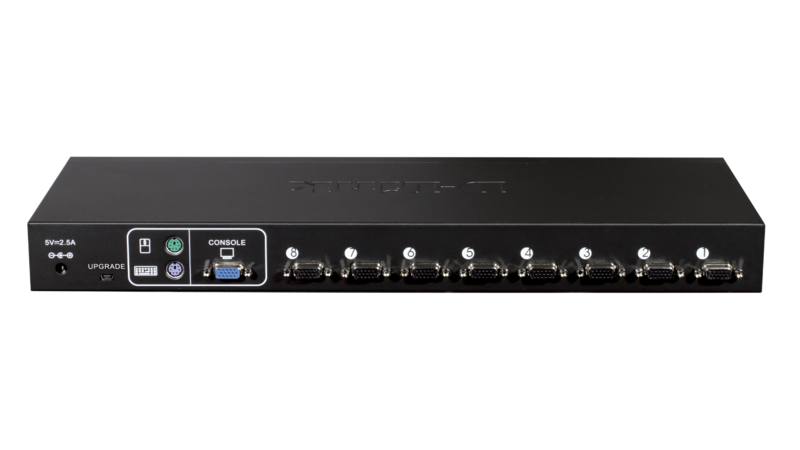 Hot-pluggable connections allow you to add devices to or remove them from the KVM switch without the need to shut it down.